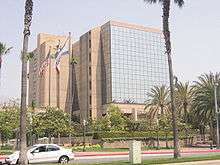 Anaheim, California is a city in Orange County. 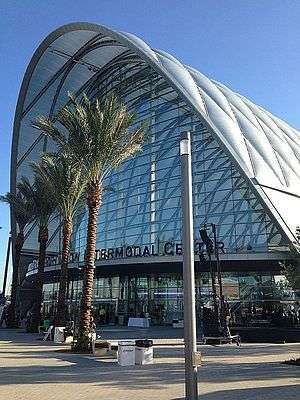 The station opened in 2014 and replaced a nearby depot and train platforms used by Amtrak and Metrolink. The steel-framed building’s entrance is a 120-foot-tall glass wall (37 m). The structure has a compound curved shell that is covered with air-filled plastic pillows through which sunlight illuminates the interior. The arched roof is illuminated with multicolored lights visible from the surrounding area. ARTIC is located in the Platinum Triangle and near the Anaheim Resort, areas of Anaheim which include major points of interest. It is directly accessible by bicycle from the Santa Ana River Trail and adjacent to California State Route 57.